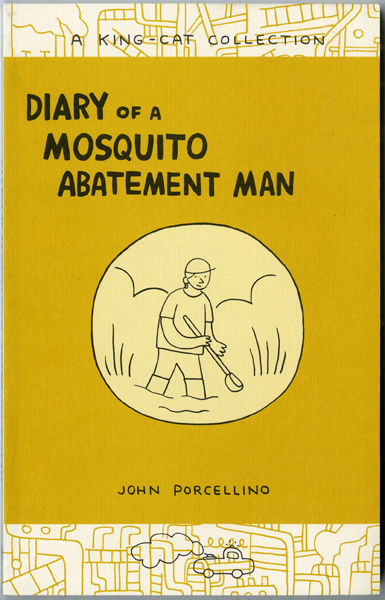 Diary of a Mosquito Abatement Man is the first in a series of books from La Mano collecting the work of John Porcellino. Over the course of 15 years and 64 issues of his much-loved, self published 'zine KING-CAT Comics and Stories, John has chronicled his life and the world around him with honesty, grace, and intelligence. 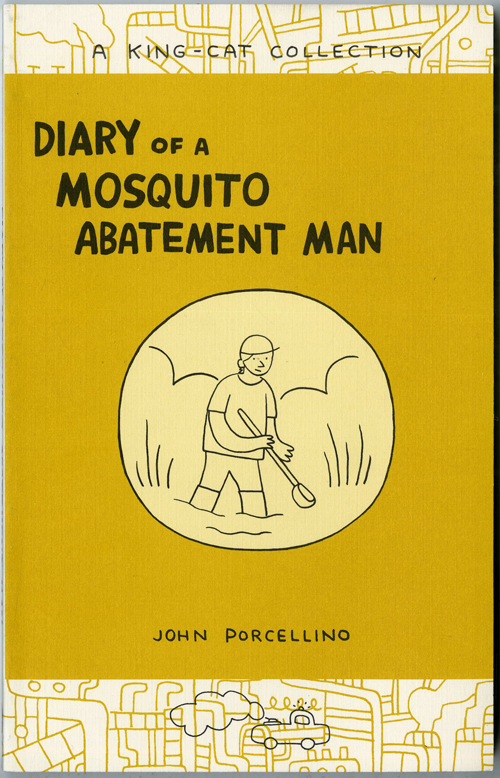 "Diary" compiles stories from a decade's worth of KING-CAT on the subject of his years spent as a mosquito exterminator. From early, scratchy punk drawings to later, more refined work (as well as 30 brand-new pages created specifically for this edition...), John examines his time on the job, and how it affected his life, his health, and his view of the world. 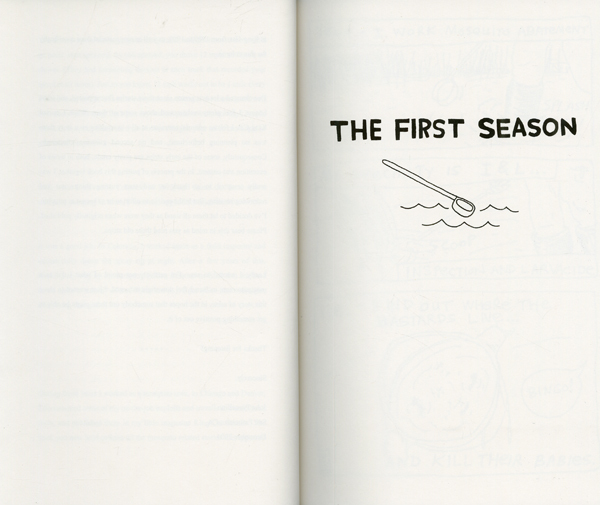 "Although "Diary" was written as a series of anecdotes...it adds up to something more." 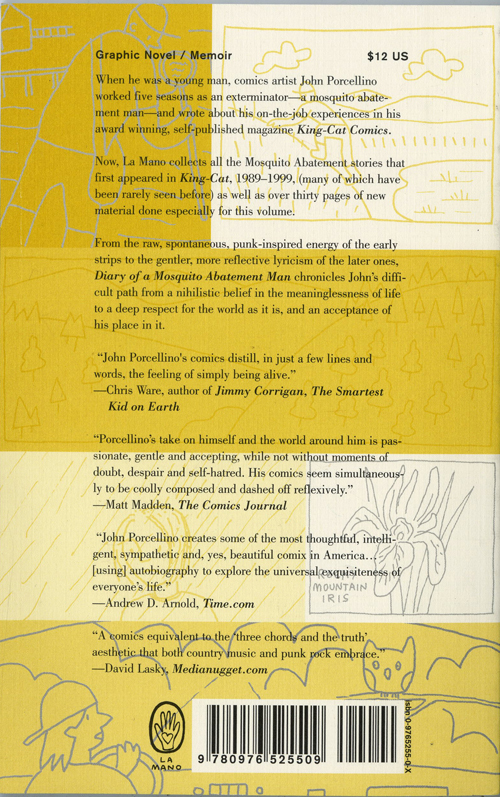 "... in its modest way, this "Diary" becomes a meditation on memory and creation.."
"John Porcellino creates some of the most thoughtful, intelligent, sympathetic and yes, beautiful comix in America..."